Grocers are late to the digital game. While consumer demand for online options has been increasing, many grocers have struggled to meet their needs. 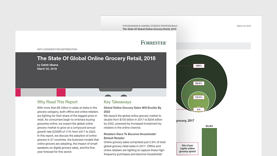 Read the infographic below or download it here to find out how online marketplaces (and Amazon) have grown in digital grocery.